At Cal’s Garage Doors, we are committed to providing our clients with nothing less than the absolute best in garage door components. This is why we are pleased to carry the line of LiftMaster garage door openers. In short, a LiftMaster garage door opener is going to redefine how you think of home access. LiftMaster has been producing superior products now for over 100 years. For example, if you are looking for a new garage door opener, then you might want to consider investing in one of LiftMaster’s Premium Series models. These models offer a patented, two way communication system that will enable you to control the opening of your garage door or your home lights from anywhere in the world via smartphone or computer. The goal of LiftMaster products is to make your life easier, and you can find your new LiftMaster garage door opener San Jose here at Cal’s Garage Doors. What sets LiftMaster garage door openers apart from others in their industry is their innovation. It does not matter if you need an opener for a residential or commercial application, we will have the LiftMaster garage door opener that perfectly suits your needs. 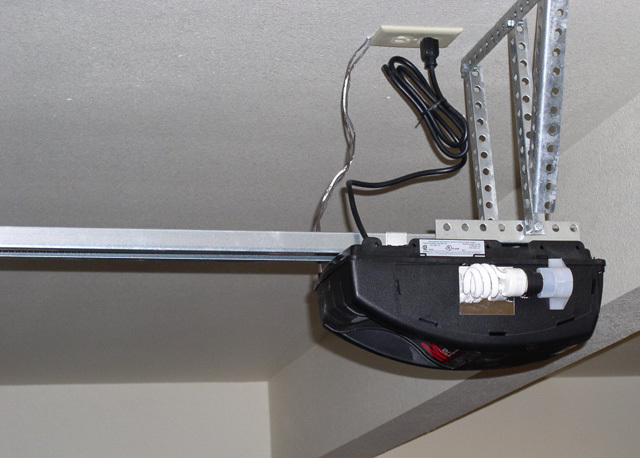 Each new garage door opener from LiftMaster has been extensively tested to ensure that it meets the industry standards set forth by the Underwriters Laboratory, so you may rest assured that you are receiving a high quality product. LiftMaster openers have also received the Good Housekeeping Seal of Approval several times over. Essentially, this means that their products have been evaluated for performance and safety by the Good Housekeeping Research Institute. If you are looking for a new garage door opener San Jose, we would invite you to come visit our showroom to see the LiftMaster products that we offer at Cal’s Garage Doors. LiftMaster products have been featured in numerous ad campaigns, television commercials, and in a number of popular magazines, including Good Housekeeping and Veranda, amongst many others. In short, LiftMaster garage door openers are going to provide you with the two things that you look for in an opener: security and convenience. Each LiftMaster garage door opener has been equipped with the patented PasiLock system in its design to ensure that your garage door will remain locked securely when it is closed, and each new opener is also equipped with LiftMaster’s Security + technology. This means that each time your opener is used, your new garage door opener will generate a new security code to ensure your family’s, home’s and belongings’ safety. In today’s busy world, we are constantly coming and going, and your garage door opener San Jose is going to play an indispensable part in your daily life. 20 years ago, having a garage door opener was considered something of a luxury, but much has changed since then. Now, they are considered a valuable component of your home. With just the push of a button, you will be provided with much more than just access to your home. You will be provided with safety, convenience, and peace of mind. 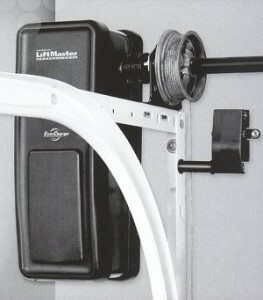 Again, at Cal’s Garage Doors, we are proud to be a purveyor of LiftMaster garage door openers. With a garage door opener San Jose from LiftMaster, you will be able to count on smooth running power and reliability year after year. Give us a call today at (408) 379-5001 to see just how LiftMaster products can revolutionize your home. Got a Question, Email Us! We Service San Jose, Milpitas, Morgan Hill, Los Altos Hills, Los Gatos, Saratoga, Cupertino, Sunnyvale and Santa Clara. Other areas may be serviced for an additional fee. 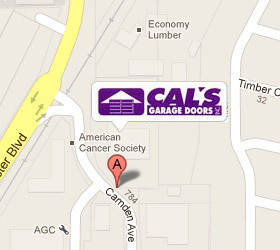 Beautify your home and improve its functionality with any one of our services from Cal’s Garage Doors! There is no time like the present. Contact us today at (408) 379-5001 for a free estimate on the cost of your installation or repair!